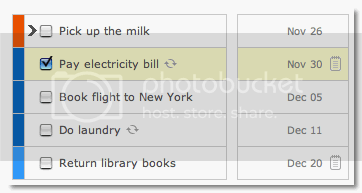 Remember the Milk is my choice online task manager. As fun as the name sounds, the application is very intuitive to use as well as very web 2.0. I have wrote about Remember the Milk here, here and here. 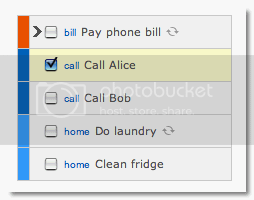 My favorite application to keep track of tasks in different lists and tags just got better with these new features. Whew.. RTM team has definitely been super busy with these slew of new features. Plus, the application loads and reacts a whole lot faster as well. If you are looking for an onine task manager to take control of your tasks at work or home, I totally recommend Remember the Milk. I haver never tried an online task manager. I think i should start with this one. @Madhur.. if you haven’t tried one yet, I’ll definitely recommend this one! RTM is just awesome. @Troy.. you are right. That will be a cool thing to add.. if you sounded that off in the feature request forum, you might get lucky too! Their development team is very responsive to the user community. Another biggie for me. Well, I like RTM but it’s too feature rich for me to use hehe. Shankar, I can see where you are coming from. I haven’t used Backpack It but I just took the ‘tour’ and it looks very promising to me..